The latest win of Novak Djokovic is all over the news. However, Andy Murray is equally in the spotlight, having been part of this epic match. He has reached Grand Slam finals about ten times in total, which is no small feat. His total victories have been two so far in these final matches. It is often said that, it is not how many wins you gather, but how long you sustained in the run for achievement. Murray has definitely shown sustenance in that matter. He has been persistent and reached the finals several times. That itself shows his dedication and perseverance. The latest game was challenging indeed, where he put up a difficult front of his opponent as well. However, Novak took the chance when Andy cooled off for a while and that is when the challenges poured in for Andy. He is now allowing his body to recuperate. He would be sitting back for a while which he feels is required of him. This is indeed true as he played a grueling session at Wimbledon on the clay court. The French Open final was no relaxing game for him. For Andy it has been a run to a finish that he had never reached before. Having reached the finals of French Open itself was a novelty in his career. As he stated, he had not played a season on a clay court as he did this time. He had not played the finals at the French Open and hence, it was a challenge that was new to him. Now he feels that he needs to recuperate before the next games come up. 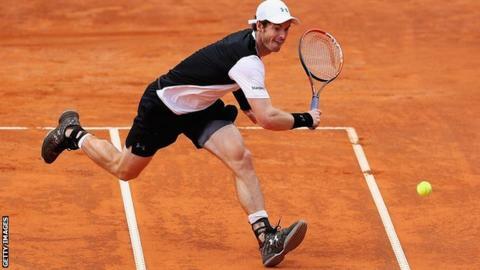 He is due to play in the Aegon Championships as the British number one player which would be held at the Queen’s Club.